Some people will tell you Mushishi is great because it doesn’t contain action and fanservice. These must be the same people who praise a film for not including Adam Sandler. They also make Mushishi look more pretentious than it is. It’s far from it. The problem is, even though Mushishi has a worthwhile aim and the right methods, it doesn’t know how to use them. In order for something to be pretentious, it needs to put up a cover while not including the methods. An anime that has a realistic art style with dramatic characters is pretentious. It looks realistic, but the methods that are used are opposed to it. Mushishi makes it clear what it wants to be in the first episode. It’s a series that’s concerned mainly with men’s relationship to nature. The mushi are just the physical embodiment of what nature can be. Some have criticized Mushishi for creating a magic system that has no rules but leads to convenience, but that’s untrue. Mushishi doesn’t have an RPG-like magic system because it uses magic to explore themes, not to offer instructions on how to do battle. 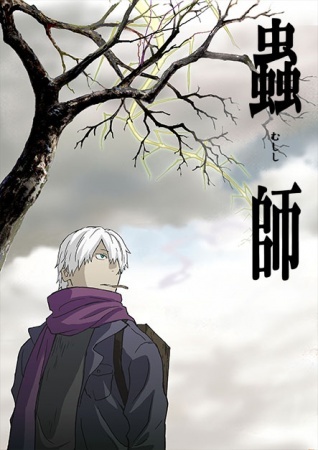 The rules the magic in Mushishi follows is the theme of nature. It’s successful in that department. We often see nature portrayed as a calm, peaceful place in contrast to heartless machinery. If the person is especially ignorant, we will even hear about the good old days when men was One With Nature and everything was peaceful and good. Most people see nature though the lens of the Garden of Eden. Anyone who ever bothered to learn a little about nature – botany or geology or zoology – will understand Mushishi‘s stance on nature. Nautre is unstable, mysterious, powerful and cares nothing about us. Volcanic eruptions and meteors crashing are terrible things, but they’re produced by an indifferent world that has no malice. They just happen. Then again, it’s the same world that gives us great food and visual spectacles. There plenty of time when the terrible and beautiful merge – how many dangerous animals are also beauiful? The series achieves that by the nature of the mushi. They often benefit and harm at the same time, like allowing people to give birth to a person that died. There is always a sense of wonder and mystery surrounding the mushi. Even Ginko, despite his cold demeanor is also startled by them. What people don’t say enough about Mushishi is that this is how fantasy should be done. It’s not like Martin’s world, which is full of details to make it clear and familiar. It’s truly alien and fantastical. Where the series falls is in all other departments. The series doesn’t put enough effort into the characters and the stories. They exist solely to present the varying mushi. There are films whose purpose is only to deliver a visual experience, so abandoning conventional storytelling can be a smart decision. It’s not here. It’s not just that 26 episodes make you demand more, but that abandoning conventional storytelling doesn’t help the series’ aim. The series forgets about the ‘men’ in the relationship between men and nature. The characters feel like they have an outer life. The issues spring from life itself – art, marriage, vision – rather than having a guy preventing another guy from Being the Best. There isn’t enough character psychology to make these issues feel important. The characters are all interchangeable. I kept waiting for a reason why this person is concerned with vision, or this one with marriage. Nothing is pointless in fiction, after all. In order to bring depth to an issue, you need to connect to the character. Something in the character’s personality needs to be related to the issue so it will affect it. A lot of shounen shows know this, so they tend to give a narcisstic nature to their characters. The character doesn’t just struggle with The Problem but with his own nature. Ikki learns to curb his narcissism and stop swinging between it and depression. Tai learns (or is supposed to) how being a leader works. Despite these two not being the most developed examples, they make for different stories. You couldn’t put Tai in Ikki’s story, because Tai’s personality is concerned with relationships with others. You couldn’t put Ikki in Tai’s story, because his story is about learning that sometimes you lose some and win some. I could not remember a character that had a situation concerned with his personality. They tend to have generic wants and needs, nothing that’s unique to them. They may be ‘ordinary people’, but people are not clones even when they follow patterns. Or if the series wanted to comment on that, then the similarity should’ve been made important. Nothing is there to emphasize how similar humans are. These are just empty characters. Ginko is not much better. An episodic series isn’t an excuse to have undeveloped characters. They may not change throughout the series, but they need a personality that will affect every story. A lot of Cartoon Network shows are purely episodic, yet they’re full of quirky characters who create the stories because of who they are. We get a backstory episode for Ginko, but it doesn’t reveal much. What’s his motivation? Why is he so into mushi? How does all this exploring affected his worldview? There are sometimes hints. In one episode, Ginko agrees with what I wrote above about the cruelty of nature. This is just one instant, though. All Ginko does is visit people, help them solve the problem and that’s it. That makes him a plot device, not a real character. He exists so we’ll have someone to follow, but how different would the series be if it was a random mushishi in every episode? I do not ask to immidiately reveal who Ginko is. If every episode gave a small piece, it would be enough. The collector, who appears from time to time is the only person with something resembling a drive. He’s really into collecting, and values it more than humans. It’s a little touch that makes him more real than anyone here. There are sometimes other mushishi’s who act a little different, but the difference is never wide enough. It’s a missed oppurtunity, sure, but not one without merits. It’s as original as people say it is, and a good example of how far storytelling can go. It didn’t live up to its concept, but it’s still good that it’s out there and that it found an audience. Hopefully, one of these someone will pick up these ideas and run away with them. It’s a fun series, but one that should be easy to improve.